Besutiful hotel and readonably priced. Second time here. Would go agsin. Where to find Bonita Springs hotels near an airport? 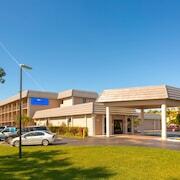 Where can I find hotels in Bonita Springs that are near tourist attractions? 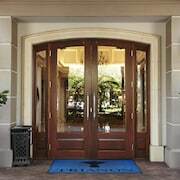 Should you be searching for upscale or budget long-stay or short-stay lodgings in or near Bonita Springs, it is useful to know that Expedia offers many suitable options. Expedia has at least 27 accommodation options within a 0.1-kilometre (0.1-mile) distance of central Bonita Springs. 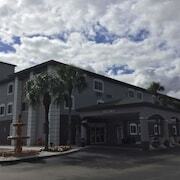 Bonita Springs features some handy places to stay, such as the Holiday Inn Express Hotel & Suites Bonita Springs and Hampton Inn by Hilton Bonita Springs / Naples - North. Bonita Springs is where you'll find the Bonita Fairways Golf Course and Riverside Park. The Trianon Bonita Bay and Comfort Inn are the nearest Expedia-listed hotels to the Bonita Fairways Golf Course, while the La Quinta Inn & Suites Bonita Springs Naples North and Homewood Suites Bonita Springs are close to Riverside Park. 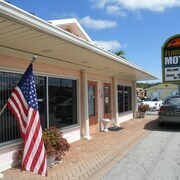 Alternatively, book accommodation at the Flamingo Motel and Bonita Village, which are nearer to Golf Safari Mini Golf. You could also check out The Ritz-Carlton, Naples and The Ritz-Carlton Golf Resort, Naples. The Ritz-Carlton, Naples is situated 9 kilometres (6 miles) from the heart of Bonita Springs. The Ritz-Carlton Golf Resort, Naples is located 10 kilometres (6 miles) away. 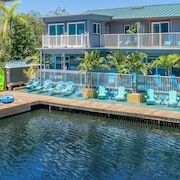 More hotel and apartment options worth checking out are the Casa Ybel Resort and the Pelicans Roost. While you are in Bonita Springs, try and leave enough time to explore South Florida's other attractions. Visit South Florida's lighthouses. Lovers of nature can also make the time to enjoy its beaches and everglades. Common pastimes in this part of United States of America include hiking and cycling. Why not spend the day enjoying the Silverspot Cinema and Delanor Wiggins Pass State Recreational Area in North Naples, 9 kilometres (6 miles) to the south of Bonita Springs. Some of our recommended North Naples hotels are the LaPlaya Beach & Golf Resort - A Noble House Resort and Vanderbilt Beach Resort. Or, you could consider staying in Naples, 20 kilometres (12 miles) to the south of Bonita Springs, where you can pick from the Edgewater Beach Hotel and The Escalante. Naples Pier and Tin City are a couple of the popular points of interest to experience should you visit Naples. Naples Municipal Airport is situated 20 kilometres (12 miles) away from Bonita Springs. Travelers who wish to stay nearby, you can easily secure a room at the Naples Bay Resort or The Inn on Fifth. What are the most popular Bonita Springs hotels? Hurry! Available MAR & APR 2020 DUE TO Cancellation! Are there hotels in other cities near Bonita Springs? 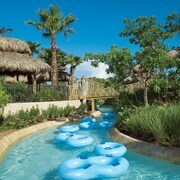 What other types of accommodations are available in Bonita Springs? Explore Bonita Springs with Expedia.ca’s Travel Guides to find the best flights, cars, holiday packages and more!